From the Montezuma Valley - southward to Point Lookout and The Knife Edge - situated at the North Rim, of Mesa Verde National Park. 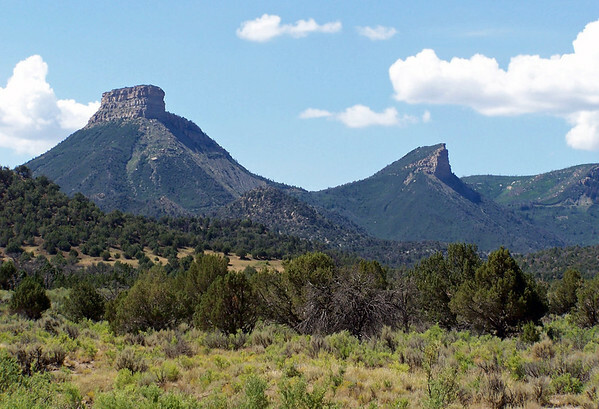 Technically the park is not a mesa (flat top), but actually a "Cuesta" - in structural geology, a cuesta (from Spanish: "slope") is a ridge formed by gently tilted sedimentary rock strata in a homoclinal structure. With Mesa Verde sloping at about a 7 degree angle southward, and made up of many smaller mesas between the canyons.